Is NVIDIA Corporation (NVDA) a Good Stock to Buy? 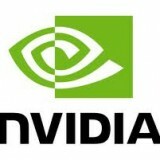 NVIDIA Corporation (NASDAQ:NVDA) has fallen in price over the last year against a rising market, as flat financials have been compounded by concerns about the declining PC industry (the company provides components, most notably graphics processors, for personal and mobile computing devices). In the fiscal year ending in January 2013, NVIDIA Corporation (NASDAQ:NVDA) actually managed 7% revenue growth compared to the previous fiscal year, though higher operating expenses left the company with flat pretax income (and then a higher effective tax rate causing a decline in reported earnings). Cash flow from operations also decreased. At a market capitalization of $7.8 billion, NVIDIA Corporation (NASDAQ:NVDA) trades at 14 times trailing earnings. If the company were growing its earnings, that might be cheap enough for it to be worthy of consideration as a value stock; however, we’ve seen that the business has been struggling and we’d expect that to continue as the PC industry likely declines further. Wall Street analysts, who are notoriously bullish about nearly everything, expect EPS to decline over the next couple years and as a result the forward P/E is 16. We would note that a large share of Nvidia’s value is cash, with over $3.7 billion in cash, cash equivalents, and marketable securities. As a result, the valuation does look a bit better in cash flow terms with an EV/EBITDA multiple of 5.0x. We track 13F filings from hedge funds and other notable investors as part of our work developing investing strategies; we have found, for example, that the most popular small cap stocks among hedge funds generate an average excess return of 18 percentage points per year (learn more about imitating small cap picks). We can also use our database to see which funds owned NVIDIA Corporation (NASDAQ:NVDA) as of the end of December. Billionaire Steve Cohen’s SAC Capital Advisors increased the size of its position during Q4 to a total of 2.7 million shares (see Cohen’s stock picks). AQR Capital Management, managed by Cliff Asness, reported owning a little over 2 million shares (find Asness’s favorite stocks). The two closest peers for Nvidia are Advanced Micro Devices, Inc. (NYSE:AMD) and Intel Corporation (NASDAQ:INTC), which provide processors and graphics cards for PCs. Advanced Micro Devices, Inc. (NYSE:AMD) is unprofitable on a trailing basis, and consensus forecasts from the Street call for negative earnings this year and in 2014 as well. 15% of Advanced Micro Devices, Inc. (NYSE:AMD)’s float is held short, a much higher figure than what we see at Nvidia. With barely any EBITDA either, we don’t think that it is a good stock to buy right now. Intel Corporation (NASDAQ:INTC)’s net income decreased by 27% in its last quarterly report compared to the fourth quarter of 2011, though revenue was down only 3%. The stock is at least cheap, with a trailing P/E of 10, and at current prices and dividend levels it pays a dividend yield of 4.2%. We wouldn’t recommend Intel Corporation (NASDAQ:INTC) as a value stock until the company was able to stabilize its earnings, but income investors might consider it.